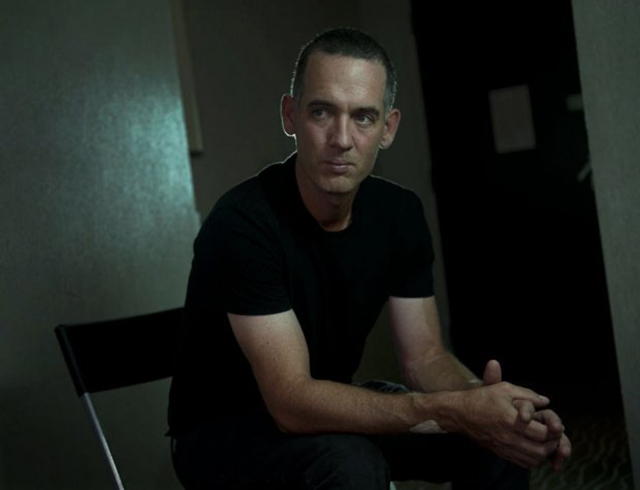 Today McGowan is a successful Canadian director, known for films such as One Week and Score: A Hockey Musical. His latest project is Still, a drama set in modern-day New Brunswick that deals with the inevitability of death and bureaucracy, with the latter nearly coming across as worse. Starring James Cromwell and Geneviève Bujold, its world premiere takes place Sept. 10 at TIFF. Thankfully, McGowan had precisely the opposite attitude as my Grade 9 English teacher. He used a combination of humour and gentle teasing to encourage me and a couple other boys who showed a talent for words (he once gave me heck for reading a book written by William Shatner, of all people). He was popular with the students, or at least I looked up to him enough to try to impress him by bringing Kerouac to class. But he was 27 and not loving it. McGowan’s year of malaise later inspired the dissatisfied English teacher Ben Tyler, protagonist of his 2008 film One Week. “That was me at St. Mike’s. I just saw the clock ticking,” he recalls as we reconnect after 19 years for an interview at a Toronto hotel. Neither McGowan nor I truly fit in at St. Mike’s, and we both left after that one year — me to public school, he to go off and write full-time. Eventually he “fell into” screenwriting, as he puts it. My Dog Vincent was largely about being in one’s early twenties; like all McGowan’s films, the plot is set against the particular circumstances of being a certain age. His new film Still is his story about the last chapter of life. McGowan found it in the newspaper one day. He was fascinated to read about Craig Morrison, an elderly man from rural New Brunswick who was being harassed by building inspectors after he started constructing a house with his own hands and his own lumber — as he had done in decades past — so that he and his Alzheimer’s-stricken wife Irene could spend their final days there. Clipboard-toting officials hounded Morrison with code violations even as independent experts said his old-fashioned house-building techniques were superior to modern ones. It was one of those are-you-kidding-me tales of bureaucratic stubbornness that seem so common in this country. Morrison was 88 when he started building, prompting McGowan to think: “Holy s–t. I’ve got to go out and meet this guy.” The very next day after reading about the Morrisons’ plight, the writer-director hopped on a plane and made for tiny St. Martins, N.B. In the film, which naturally takes a few creative liberties with the tale, the building of the house becomes Morrison’s (played by Cromwell) last big swing at the jaws of death. “It could be a fairly gritty, pretty depressing tale. What attracted me to the story — and a lot of the stories, whether it’s One Week or Saint Ralph or even Score — is that [they ask], ‘What is our meaning in life, what are we going to go for?’ ” McGowan says. The director has himself reached a stage in his life and career where he was ready to help draw tear-jerkingly moving performances out of two deeply experienced actors. Not that he wasn’t a little intimidated at first. “People like James Cromwell and Geneviève Bujold very quickly work out whether you know what you’re doing or not,” he says. In turn, they brought work ethic and thoughtfulness to the project. Speaking of tales of persecution, McGowan believes he got his own bitter taste of it in 2010, when his Score: A Hockey Musical was TIFF’s big kickoff title. The lighthearted movie was slammed into the boards by the press and largely left on the bench by audiences despite the reviews being so-so as opposed to terrible. Such a rough tumble from high expectations might have driven less determined souls out of the movie business altogether. Still is being introduced much more quietly at TIFF 2012; the production is pointedly avoiding attracting a lot of press attention. It has the potential to connect with audiences in a way Score didn’t, but it will only have its general release next spring and it doesn’t make sense for the film to use up its share of media attention this early. In the meantime, McGowan is trying to move other projects forward. He’s already dealt with adolescence, twentysomething malaise and now old age. Next, I suggest, it would be fitting for my old teacher to share with us a story about how to navigate this middle part of life we both find ourselves in, between one’s thirties and fifties. The answer, as implied by everything McGowan has done in his career, is never.